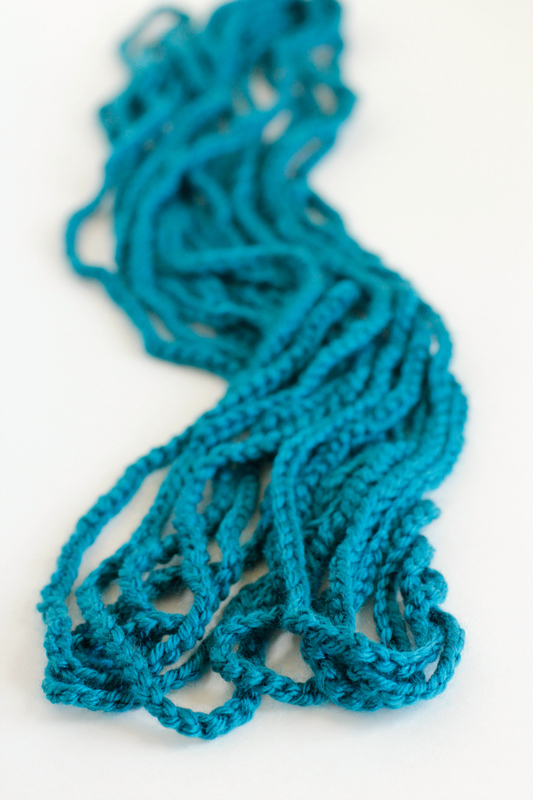 We’re having fun crocheting to make a fancy new necklace! 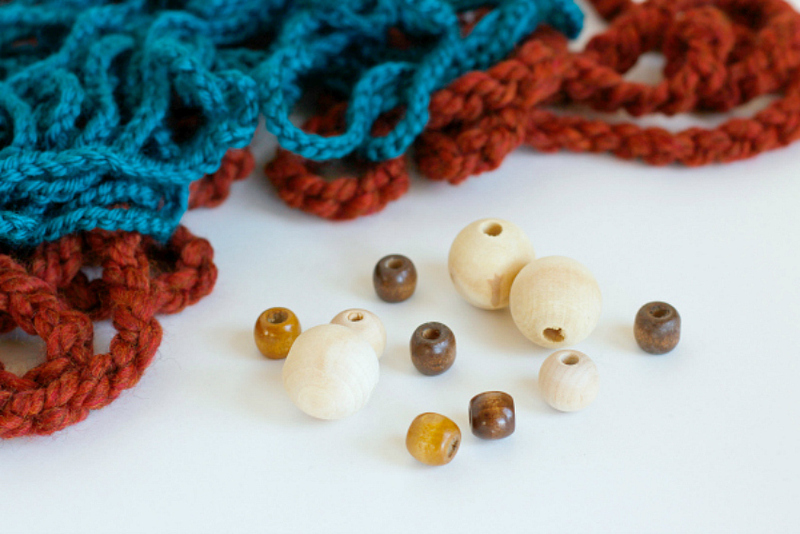 These crochet chain stitch beaded necklaces is the perfect project to make with extra or leftover yarn scraps you have lying around, the ones not quite long enough for a pattern. 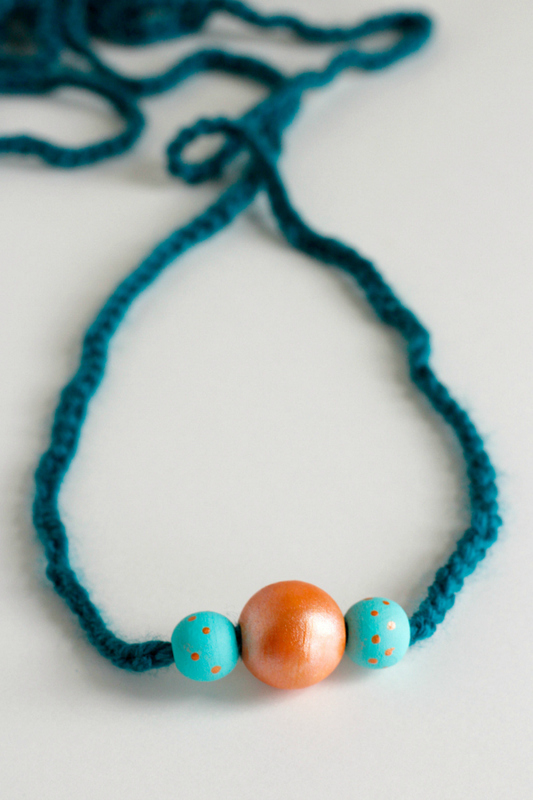 Crochet a very long chain stitch, add on a few wood beads, and you’ve got a handmade accessory to go with any outfit. 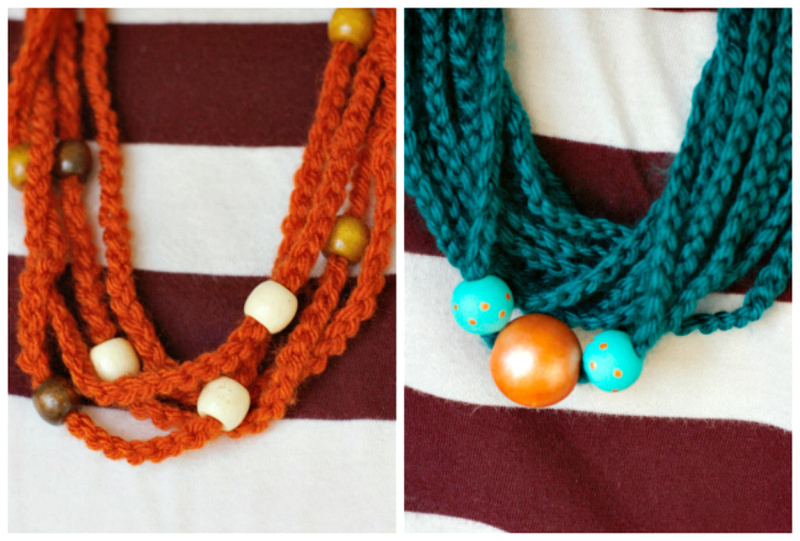 Not only are these crochet necklaces super easy to make, you can personalize them in so many different ways. 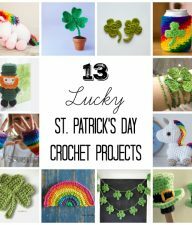 Try different yarn colors and textures, different shapes and sizes of beads, even mix-matching with every kind of style to make these your own. 2. 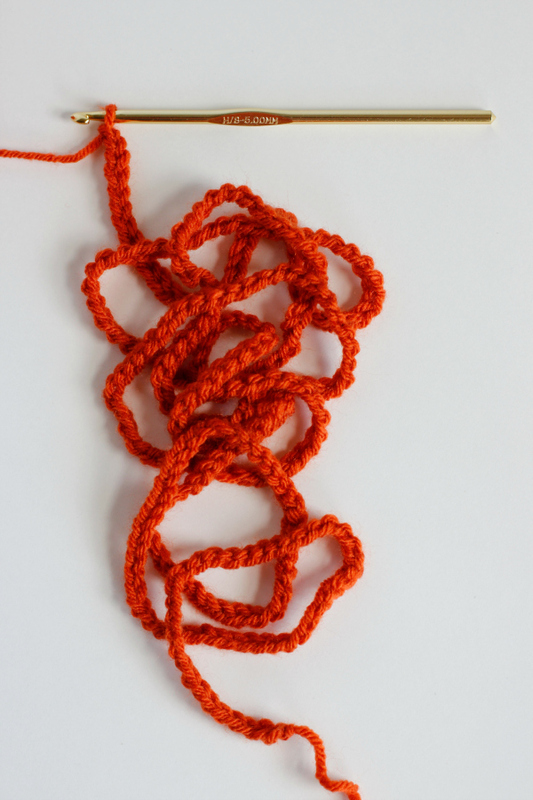 Chain stitch your yarn. Keep going… forever! 3. When you have your desired length, cut your yarn and pull it through the last chain to tie it off. It’s now miles and miles of crochet chain stitch! Just kidding. Actually, the orange above is 10 feet and the blue color below is 30 feet. You just keep crochet chain stitches until you get to the desired length you’d like for wrapping around your cute little neck! 4. Pick out a few wooden beads. I’ve got wood pony beads and 1 inch craft wood beads. Make sure you can get your yarn through the hole. 5. 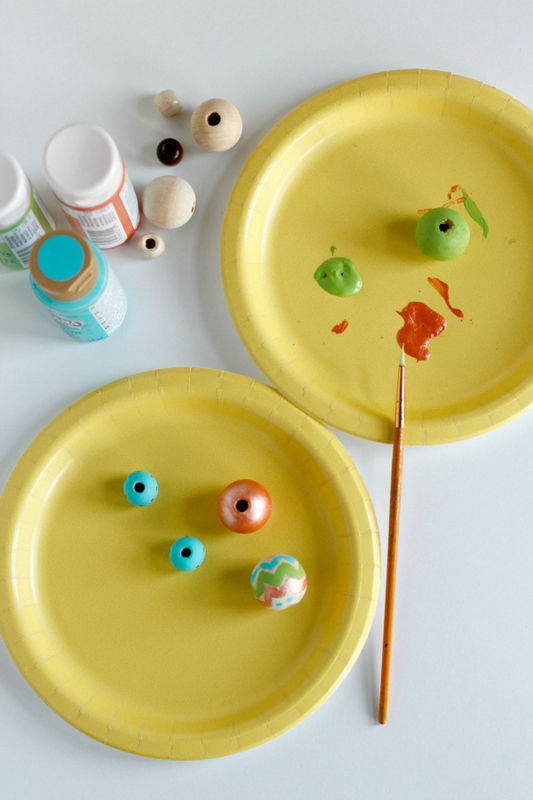 Add paint to a paper plate or newspaper and paint your wood beads with a paint brush to give it a little extra color and flare! 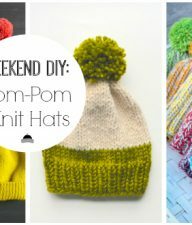 Let the paint dry completely before adding them to your yarn. 6. 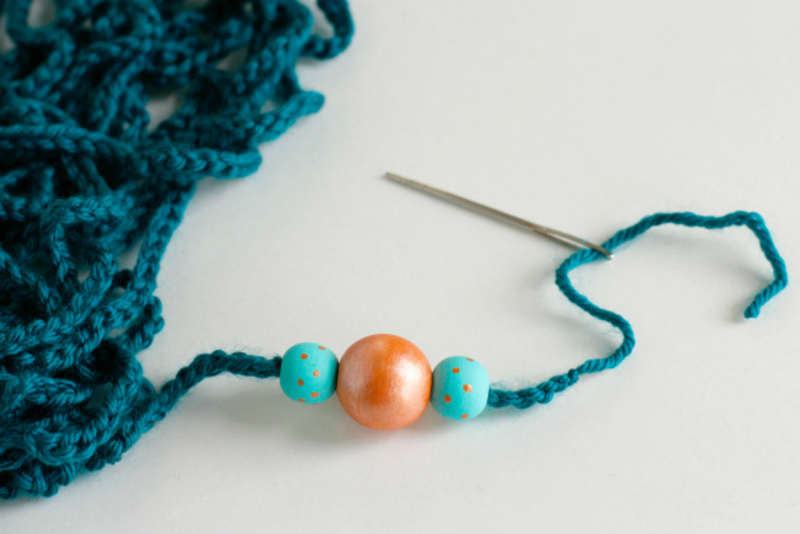 Thread your crochet needle onto one end of your chain stitch piece. Thread on your beads in the order you’d like. 7. 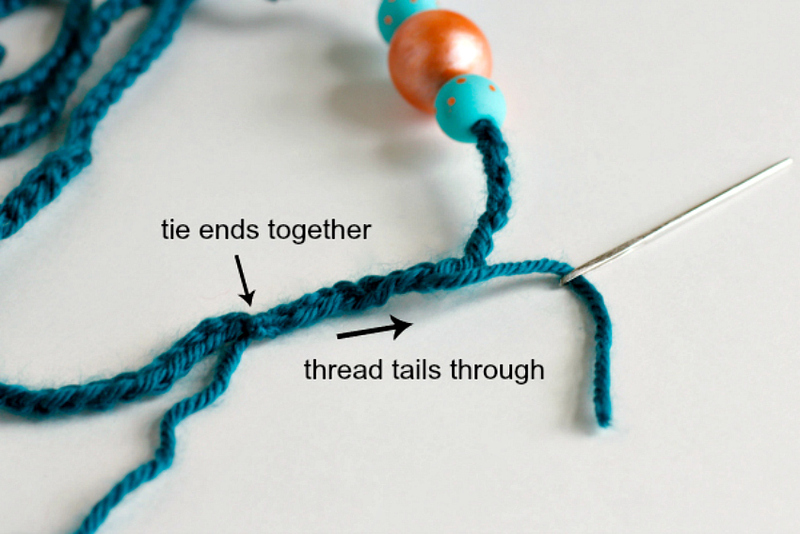 Once your beads are on, tie the two ends together. 8. Hide your tails back through your chain stitch and trim the ends. 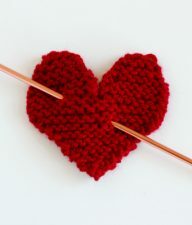 TIP: you can simply cut the ends off 1/4 inch from the knot and use your beads to hide the ends. 9. Center the beads wherever you’d like, unless they are hiding the knotted end. If so, that’s your center of the necklace. 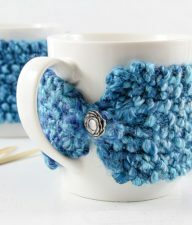 Wrap the yarn around itself a few times and it’s ready to wear! 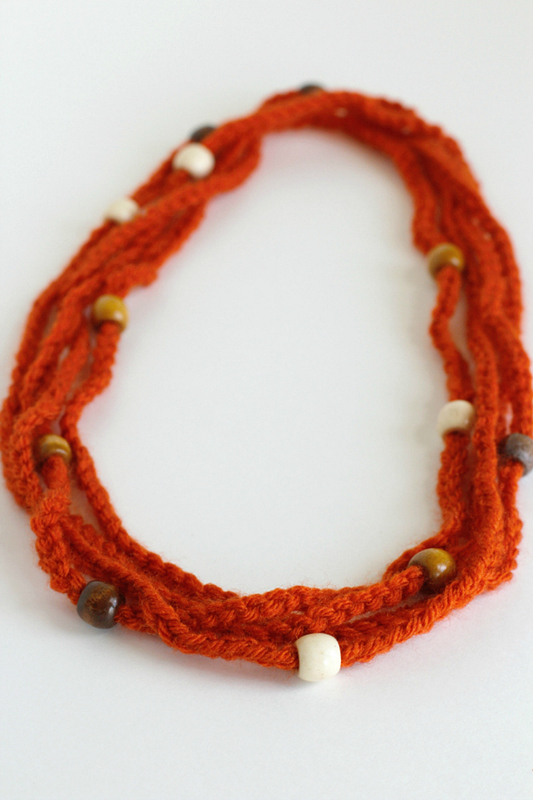 Another option is to thread on multiple beads to your chain stitch crochet piece and spread them out like I’ve done with the orange necklace below. It’s fun to have a few different beaded looks. 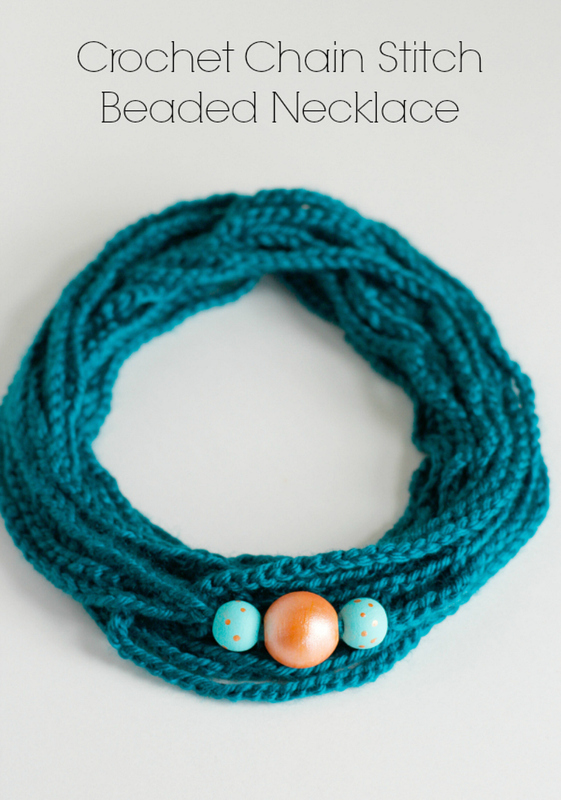 Have fun with your chain stitch crochet necklaces. Make them for all your friends as gifts!